If you have never tried homemade ricotta, drive to your local grocery store and buy milk, cream and lemons immediately! 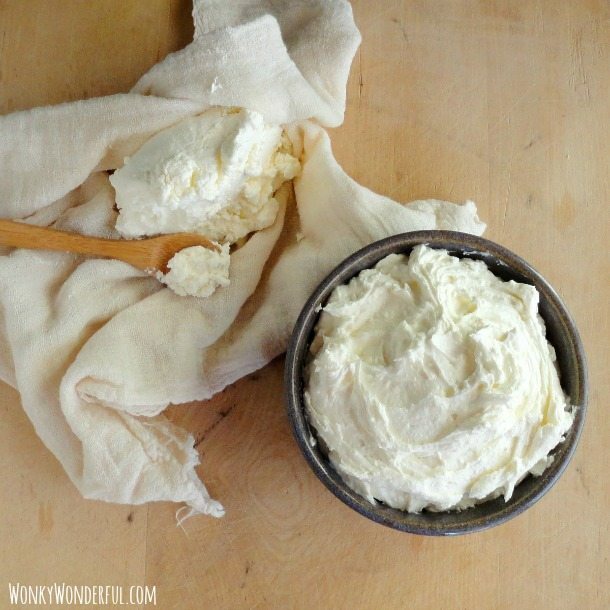 Homemade ricotta is so wonderfully thick, rich, creamy and super simple to make. I will never buy ricotta again. If a year ago you had told me that I would be making my own cheese, I would’ve thought that you had lost your mind! I always believed that making cheese was an extremely difficult and time consuming project. Of course, that does apply to firm cheeses. But soft cheese is beyond simple to make, especially ricotta. This is the best cheese to start with if you have never before attempted a homemade cheese. The equipment needed to make your ricotta is fairly standard. 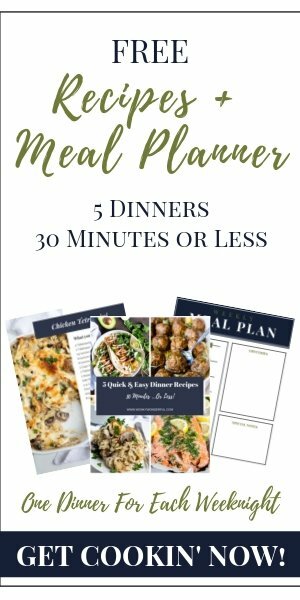 You will need a large pot, large bowl, mesh strainer, cheesecloth, measuring cups/spoons, citrus juicer and a candy thermometer. I have used many types of thermometers and this Candy Thermometer is the one that I use and recommend to all of my friends and family. The ingredients are simplicity at its best: Milk, Cream, Salt and Lemons. You can control the quality of the ingredients and taste the difference. The pure flavor of homemade ricotta is so unbelievable that you will never be able to look at the store bought stuff in the same way again. Combine the milk, cream and salt in a large pot over medium heat. Attach a candy thermometer and stir occasionally while heating the milk. Once the temperature reaches 190° remove pot from heat. Add the lemon juice and give it a gentle stir. After 5 minutes have passed, slowly and carefully pour the curdled mixture into the cheesecloth lined strainer. Leave it to drain for 1½ to 2 hours. Do not squeeze any of the remaining liquid out of the ricotta. Transfer ricotta into an airtight container and store in the fridge. Use within 3-4 days. This recipe yields 4+ cups of ricotta. After the lemon juice is added the mixture will begin to look very unappetizing. 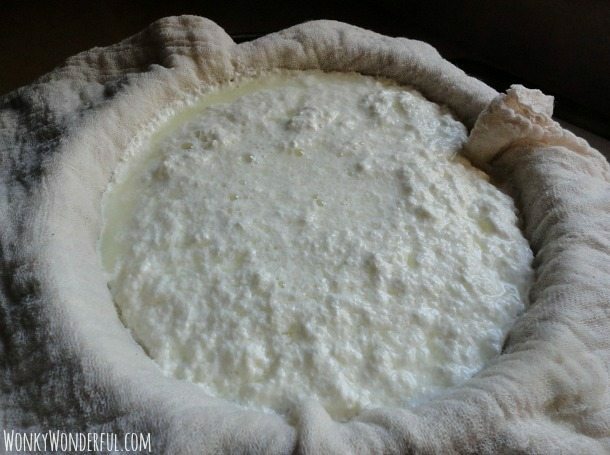 But don't worry, once the liquid is drained off it will magically turn into gorgeous ricotta. I discard the whey (drained liquid) but it can be used. An internet search will get you a ton of ideas. 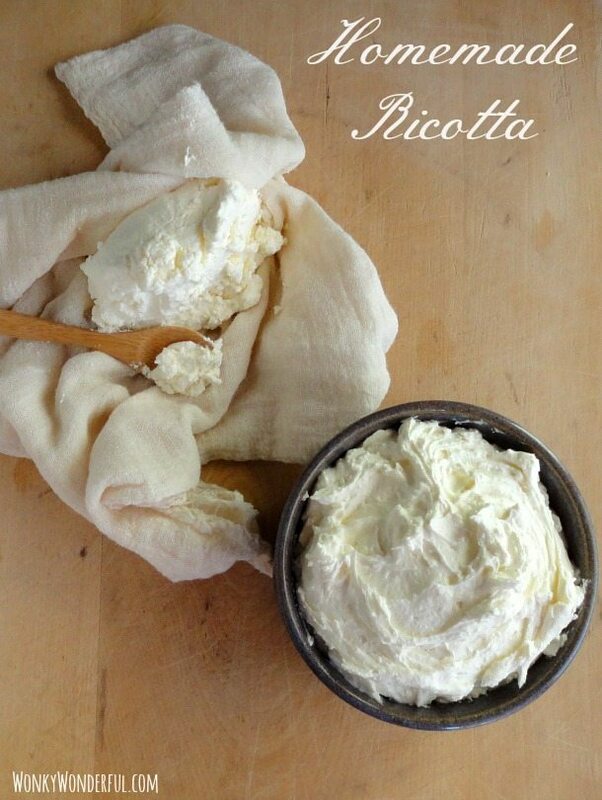 Use your ricotta while baking, spread onto crusty bread or dollop on top of pasta dishes. I have been known to eat a bowl full of ricotta with a drizzle of honey, sliced almonds and dried apricots mixed in . . . maybe not my finest hour! Keep a look out for an upcoming recipe post for Cherry Ricotta Ice Cream, you’re not going to want to miss that one! Most of all, take pleasure in being able to utter the phrase: “Yeah, the other day while I was making cheese…” You will not believe the astonished looks that you will get from that sentence. I have had ricotta on my list of things to try forever, yum. I need the candy thermometer though, oh this looks yum. Hey better a healthy pig out than sitting with a block of hocolate right. The stupid thing is its do cheap to make but so expensive to buy. Have you tried other cheeses, my sister made some of the little ball things but for the life of me I can’t remember the name…I will never forget how yum it was though! You need to do this, Mel! It tastes so amazing! And you are right, the store bought ricotta is totally overpriced! Thanks for the info, I’ll definitely check it out! This is something that I’ve been wanting to learn to make! We’d love it if you would link up this post to The Creative HomeAcre Blog Hop. We’re live Sunday – Thursday! Definitely give this a try. It is so simple and the taste is unbelievable! 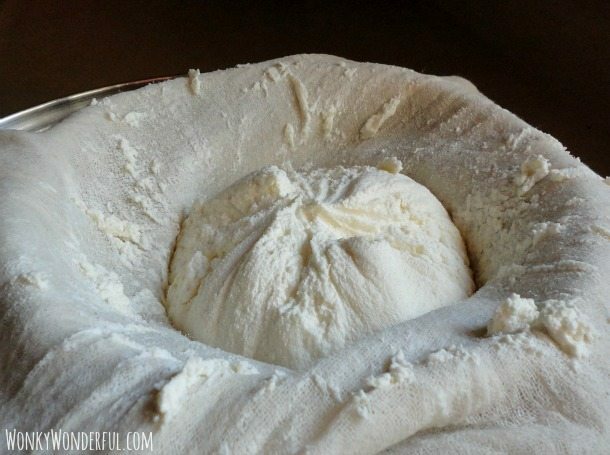 I had no idea that you could make ricotta cheese. So, this is great information to come by. Glad you shared it. Hi JennyLynn! I know, up until a few months ago I would’ve never thought to make ricotta either. So simple and So good! You should definitely make ricotta again … So Good! Thanks for stopping by, Chris. This is basically amazing. I had NO IDEA you could make ricotta so simply from home. Thanks so much!!! I know, Right!?! 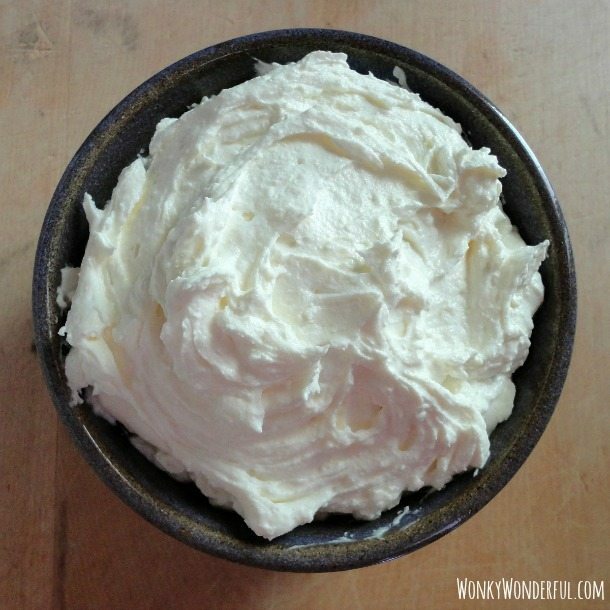 I was flabbergasted when I first discovered how simple it is to make ricotta at home. I like short list of ingredients and no additives. So simple i would even call it healthy..Thanks for recipe and nice pics. Greetings! Thanks so much for the compliment! Your recipes and photos are amazing, so I definitely appreciate it. Have a great week! How interesting! I do my ricotta with full-cream milk, salt and vinegar, i’ll have to try this version to see how it compares! But totally agree, it’s super easy and so much silkier and tastier than the store-bought version. 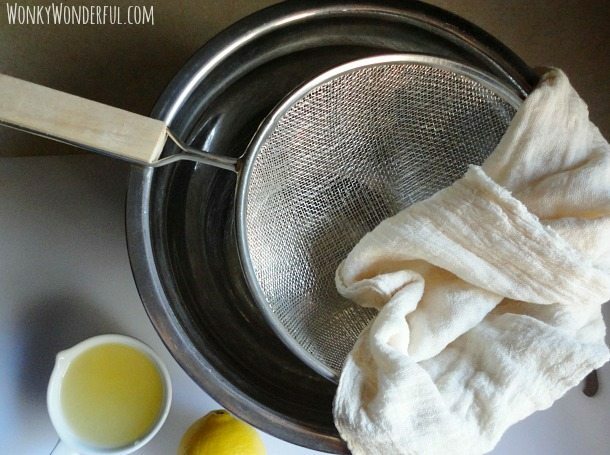 I have seen the vinegar method but have yet to try it. I usually have lemons laying around that need to get used up. Thanks for stopping by, Jas! Have a wonderful week! Please, what are the exact measurements of milk, cream and lemons to make the cheese. Thank you. Here are the measurements: 8 cups Whole Milk – 2 cups Cream – 1 tsp Kosher Salt – 10 Tb Fresh Lemon Juice (3-4 large lemons). Are you unable to see the recipe? Just wondering if there is an issue that I need to resolve. Enjoy! Can the cottage cheese be made with skim or low fat milk? If so do I need to add more lemon? Hi Grace, I have never tried making ricotta with lower fat milk. When I was researching different recipes, they all use whole milk. I believe I read somewhere that lower fat milk doesn’t work so well. But, ya never know til ya try. Let me know how it goes if you do decide to try low fat milk. I don’t have a candy thermometer, can I use a yogurt thermometer instead? Hi Alicia! I’ve never used a yogurt thermometer. I imagine that as long as it reads up to 190° it should be fine. Thanks Farah! I did not whip the ricotta. But, I do usually give it a good stir with a fork to make it creamier. Apologies for my delayed response! My blog ate your comment for awhile and I just found it. I have seen that others use vinegar, I have always used lemon. I hope it turned out. Hello, I’m Vidy from Indonesia. This recipe seems easy to make, however, something that makes me wonder is the cream, since we’re not familiar with such cream. What kind of cream that do you use? Or do you have any suggestions to replace the cream? Oh, I’m not sure there would be any good replacement for cream in this recipe. Here the product is labeled heavy cream or heavy whipping cream. Oh nice! There would be a bunch of heavy cream or heavy whipping cream here, thanks Nicole!